You whisk and you whisk, until your arms and wrists are sore. You whisk and you whisk, until your hot chocolate bubbles to a thick, velvety consistency. You whisk and you whisk, until the chocolate smell wafts up and you are transported to your own sweet version of heaven. 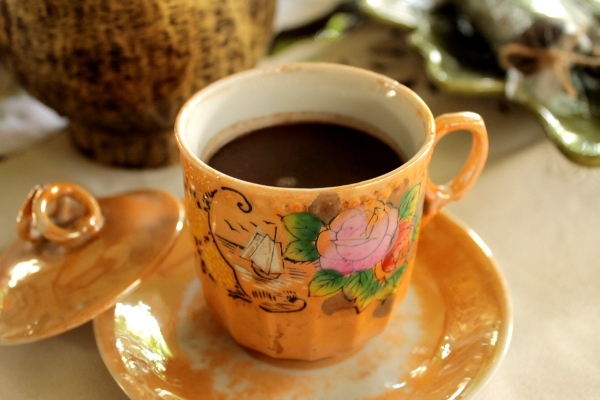 Thick, frothy, with the bittersweet taste of dark chocolate and the slight graininess that sets it apart from other versions, Tsokolate, or Filipino Hot Chocolate, is one of my very favorite treats back home. 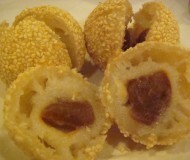 Made with tablea (chocolate tablets), and tempered with milk and sugar, it is simple and luxurious at the same time. 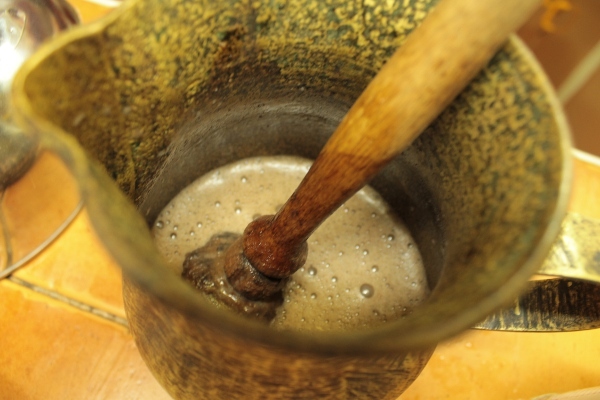 Whisked manually with a batidor (or molinillo, a wooden hot chocolate stirrer), it is a labor of love. 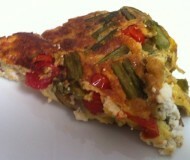 Paired with pan de sal (breakfast rolls) and kesong puti (white cheese), it is the breakfast I crave for and miss most. I’m back in Boston from my wonderful holiday in the Philippines, and I’ve brought back several packs of tablea. You can purchase these Filipino hot chocolate disks at some specialty stores, but if you can’t find them, Mexican chocolate disks will do in a pinch. I am a big fan of Taza Chocolate (I went to the Taza chocolate factory last year and developed a slight obsession). 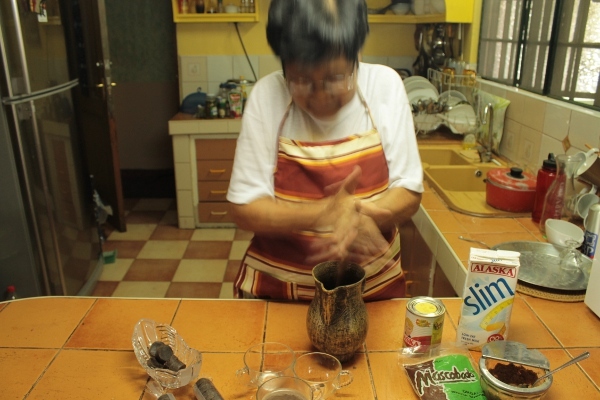 It’s great if you have a molinillo on hand, but you can also just use a regular whisk or even a hand blender. 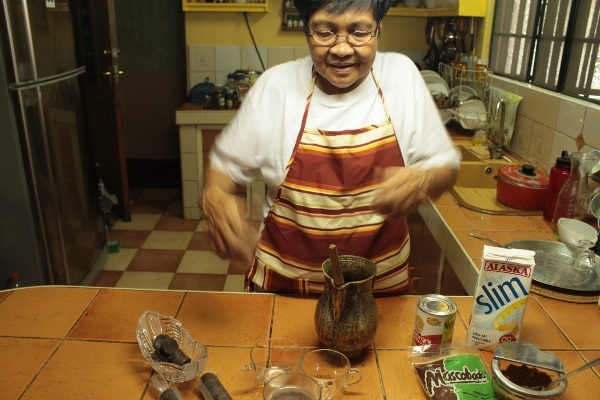 Of course, while I was in the Philippines, I had the traditionally-made tsokolate, whisked by a batidor. It also helps if you are in a great mood while making your hot chocolate. Haven’t you heard of that story that your emotions transfer to the taste of the food you are preparing? This is Tita Ine. 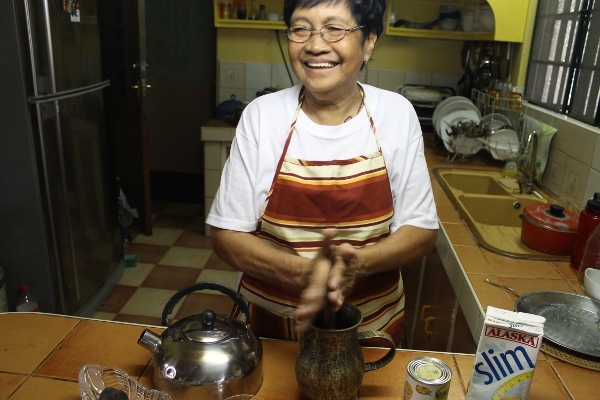 She is my nanny/aunt/biggest fan/adobo expert/seasoned tsokolate maker. 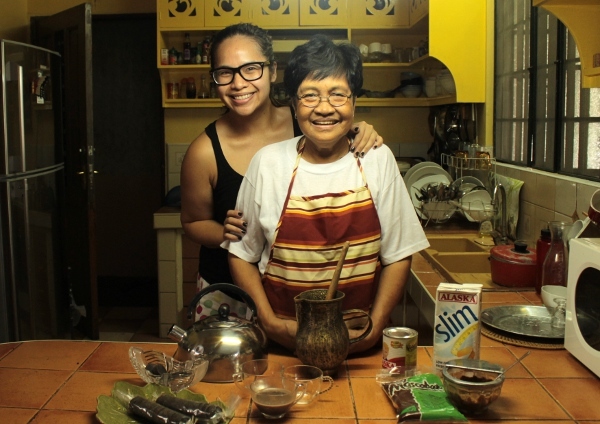 She cooks for our family and makes THE BEST Filipino food in the whole entire world. The. Best. Ever. 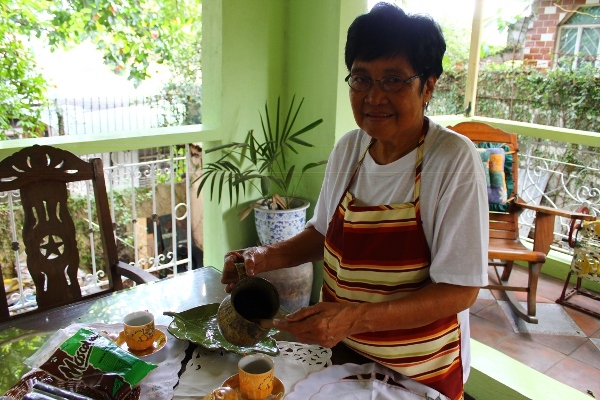 I asked her to demo how to make tsokolate and she gamely obliged. Start with 2-3 discs of tablea for each serving of hot chocolate. 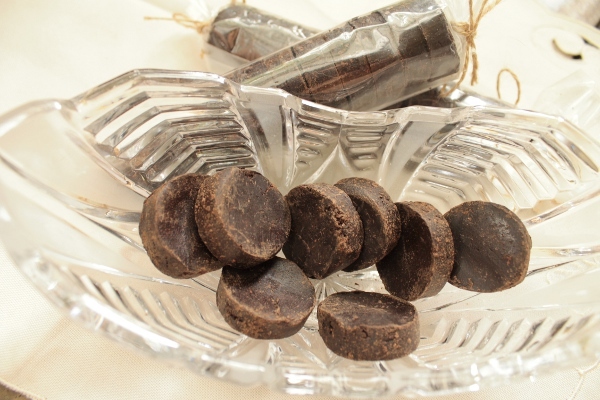 If using Mexican chocolate disks, use one whole disc (about 1.3 oz). Dissolve the discs in 1 cup boiling water. Continue to boil for another five minutes, stirring constantly, until the mixture thickens to your desired consistency. Add milk and sugar to taste. I used 1/4 cup 1% milk and 1 tablespoon muscovado sugar, but you can use any kind of milk (some Filipinos use evaporated milk) or even cream, and any kind of sugar. You can also add in other flavor enhancers like grated/chopped milk chocolate (to add sweetness and smoothness), cocoa powder, peanut butter (some tablea are flavored with ground peanuts and this adds a nuttier taste and texture), vanilla extract, or even rum or tequila (I swear I did not do this for breakfast. Swear). For this version, we are sticking with 2-3 discs of tablea, 1 cup water, 1/4 cup milk, and 1 tablespoon sugar for each serving. After adding the milk, and sugar, WHISK! Transfer to high-walled pitcher (or leave the mixture in the pan), and vigorously whisk and whip and whisk until your hot chocolate gets frothy. I told you it’s a labor of love. The secret is in the whisking. And getting some really good quality chocolate. Bianca: Tita, I can do this by myself! I do this in Boston all the time. Tsokolate, truly one of the best things I’ve had on vacation. Actually, it’s one of the best things I’ve had, ever. As for the GIVEAWAY, I couldn’t post this without giving you guys the chance to try it yourselves! 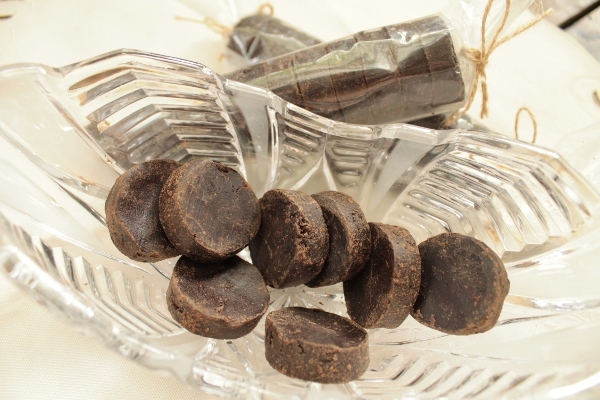 Two of you (yes, there will be two winners) will win a pack each of tablea! 1) Leave a comment below telling me about one of the best things you’ve eaten on vacation. then come back to this post and leave a comment telling me you’ve done so. You can enter the giveaway twice. I’ll pick a winner next weekend, so you have until Friday, Jan. 13th, to comment. Good luck! I hope you enjoy this little taste of my home! Thank you for a lovely post! 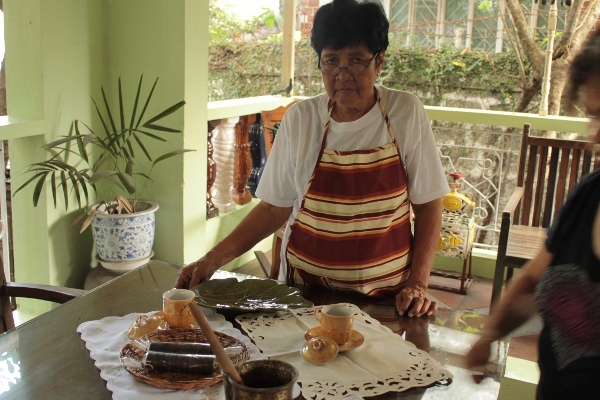 Brings back memories of my Tita in the kitchen roasting the cacao beans, and singing while forming the tablea for me to bring home with me. 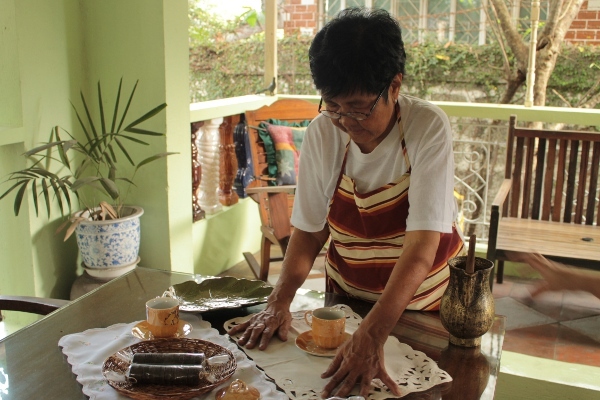 She made the best Tsokolate for breakfast (every morning! )… And I know that look… “really?” (“talaga?”)… hee-hee! Also, now I know why I’m a big fan of Taza! As you can imagine, this kind of chocolate was taken from Mexico (New Spain) to Philippines by Spanish and Mexican people travelling from Acapulco to Manila in the “Nao de China” during Spanish colonial times. Some other good brands of Mexican chocolate are Ibarra, Abuelita, Moctezuma or Mayordomo. I think at least Abuelita should be easy to get in USA. 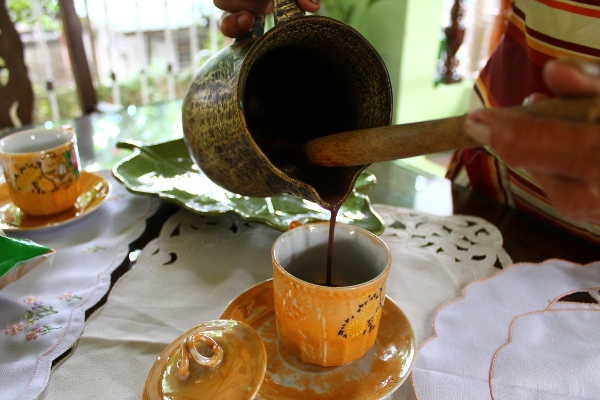 Of course, the best ones are done by-hand traditionally down in southern Mexico. In Mexico is drank mostly during these chilly winter days for celebrating “Día de Reyes” on January 6th. Chopping down “rosca de Reyes” or any Mexican traditional pastry (aka sweet bread) in hot chocolate during cold winter days is one of my best memories of childhood back home. I used to drink this breakfast beverage when I was growing up in Vigan. 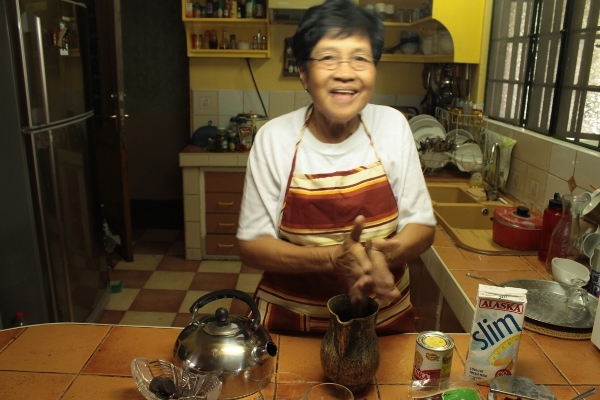 My paternal Lola was a mean cook and prepared tsokolate every morning. 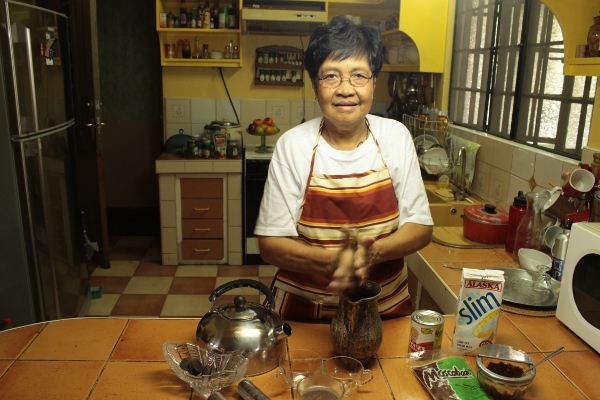 Unfortunately I never got the chance to learn from her how to prepare my favorite morning beverage because my family has to move to Manila. Catherine, thank you for the comment. I am happy to be able to help! 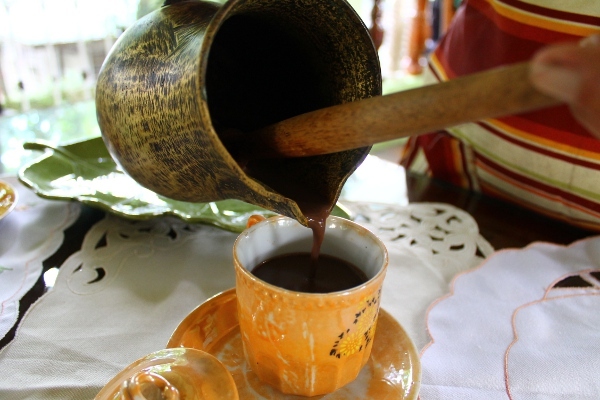 It is also chilly and rainy here in Boston and I am craving tsokolate madly. Hope you can whip some up soon, too! Hello Ms. Bianca! I’m just wondering whether I can use a wire wisk instead of a batirol?